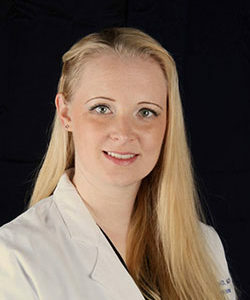 Dr. Jennifer Tighe de Soto graduated with an undergraduate degree from the University of Nebraska, then went on to receive her Medical Degree at Creighton University in Omaha. She completed her residency at Duke University Department of Surgery in Durham, NC and then performed a Fellowship in Aesthetic Medicine with the American Academy of Aesthetic Medicine. During her fellowship, she was able to cultivate her abilities in both nonsurgical and surgical treatments for aesthetic enhancement. Dr. Tighe de Soto has gained comprehensive training in liposuction and liposculpting, advanced facial injection techniques, noninvasive fat reduction methods and autologous fat transfer procedures. As a board certified Co Medical Director and Co Founder of Imagen Body Sculpting & Cosmetic Center, Dr. Tighe de Soto carries a strong love for cosmetic surgery in conjunction with her impressive resume. Dr. Tighe de Soto went into the field of medicine with the hopes of helping people, and found true enjoyment when she was able to better women’s self esteem by aiding them in the improvement of their appearance. She spends time paying attention to the particular aspects that make patients feel self-conscious and offers them options to improve their self-confidence and self-image. Dr. Tighe de Soto appreciates the many opportunities to give back to the women in her community by making a difference through her work.